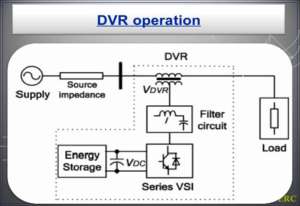 This paper presents a new system structure for integrating a grid-connected photo voltaic (P V) system together with a self-supported dynamic voltage restorer (DVR). The proposed system termed as a “six-port converter,” consists of nine semiconductor switches in total. The proposed configuration retains all the essential features of normal P V and DVR systems while reducing the overall switch count from twelve to nine. In addition, the dual functionality feature significantly enhances the system robustness against severe symmetrical/asymmetrical grid faults and voltage dips. A detailed study on all the possible operational modes of six-port converter is presented. An appropriate control algorithm is developed and the validity of the proposed configuration is verified through extensive simulation as well as experimental studies under different operating conditions. Fig. 1. Proposed integrated PV and DVR system configuration. Fig. 2. 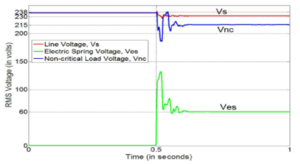 Simulation results: operation of proposed system during health grid mode (PV-VSI: active and DVR-VSI: inactive). 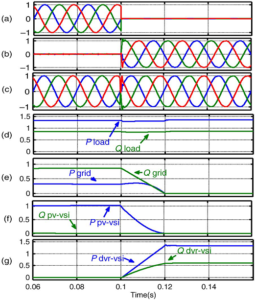 (a) Vpcc; (b) PQload; (c) PQgrid; (d) PQpv-VSI; and (e) PQdvr-VSI. Fig. 3. 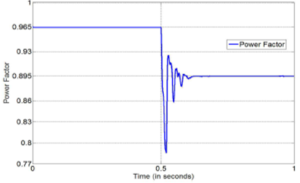 Simulation results: operation of proposed system during fault mode (PV-VSI: inactive and DVR-VSI: active). (a) Vpcc; (b) Vdvr; (c) Vload; (d) PQload; (e) PQgrid; (f) PQpv-VSI; and (g) PQdvr-VSI. Fig. 4. 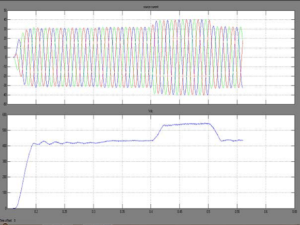 Simulation results: operation of proposed system during balance three phase sag mode (PV-VSI: active and DVR-VSI: active). (a) Vpcc; (b) Vdvr-VSI; (c) Vload; (d) PQgrid; (e) PQpv-VSI; and (f) PQdvr-VSI. Fig. 5. Simulation results: operation of proposed system during unbalanced sag mode (PV-VSI: active and DVR-VSI: active). (a) Vpcc; (b) Vdvr-vsi; (c) Vload; (d) PQgrid; (e) PQpv-VSI; and (f) PQdvr-VSI. Fig. 6. Simulation results: operation of proposed system during inactive PV plantmode (PV-VSI: active and DVR-VSI: active). (a) Vpcc; (b) Vload; (c) Vdc; (d) PQload; (e) PQdvr-VSI; and (f) PQpv-VSI. In this paper, a new system configuration for integrating a conventional grid-connected P V system and self supported DVR is proposed. The proposed configuration not only exhibits all the functionalities of existing P V and DVR system, but also enhances the DVR operating range. It allows DVR to utilize active power of P V plant and thus improves the system robustness against sever grid faults. The proposed configuration can operate in different modes based on the grid condition and P V power generation. The discussed modes are healthy grid mode, fault mode, sag mode, and P V inactive mode. The comprehensive simulation study and experimental validation demonstrate the effectiveness of the proposed configuration and its practical feasibility to perform under different operating conditions. The proposed configuration could be very useful for modern load centers where on-site P V generation and strict voltage regulation are required. R. A. Walling, R. Saint, R. C. Dugan, J. Burke, and L. A. Kojovic, “Summary of distributed resources impact on power delivery systems,” IEEE Trans. Power Del., vol. 23, no. 3, pp. 1636–1644, Jul. 2008. C. Meza, J. J. Negroni, D. Biel, and F. Guinjoan, “Energy-balance modeling and discrete control for single-phase grid-connected PV central inverters,” IEEE Trans. Ind. Electron., vol. 55, no. 7, pp. 2734–2743, Jul.2008. T. Shimizu, O. Hashimoto, and G. Kimura, “A novel high-performance utility-interactive photovoltaic inverter system,” IEEE Trans. Power Electron., vol. 18, no. 2, pp. 704–711, Mar. 2003. 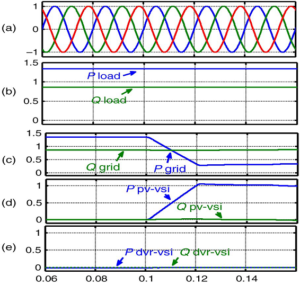 S. B. Kjaer, J. K. Pedersen, and F. Blaabjerg, “A review of single-phase grid-connected inverters for photovoltaic modules,” IEEE Trans. Ind.Appl., vol. 41, no. 5, pp. 1292–1306, Sep./Oct. 2005. 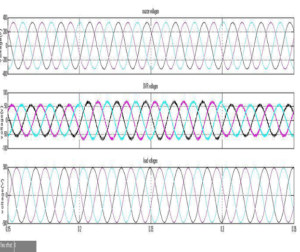 T. Esram, J. W. Kimball, P. T. Krein, P. L. Chapman, and P. Midya, m“Dynamic maximum power point tracking of photovoltaic arrays using ripple correlation control,” IEEE Trans. Power Electron., vol. 21, no. 5, pp. 1282–1291, Sep. 2006.
power quality improvement can be achieved. It was also shown that the improvised control scheme has merit over the conventional ES with only reactive power injection. reliance on information and communication technologies. grid technology,” IEEE Transactions on Smart Grid, vol. 3, no. 3, pp. The proliferation of non-linear loads and the increasing penetration of Distributed Energy Resources (D ER) in Medium-Voltage (M V) and Low-Voltage (L V) distribution grids, make it more difficult to maintain the power quality levels in residential electrical grids, especially in the case of weak grids. Most household appliances contain a conventional Power Factor Corrector (PFC) rectifier, which maximizes the load Power Factor (PF) but does not contribute to the regulation of the voltage Total Harmonic Distortion (TH D V ) in residential electrical grids. manuscript proposes a modification for PFC controllers by adapting the operation mode depending on the measured TH D V . As a result, the PF Cs operate either in a low current Total Harmonic Distortion (TH DI ) mode or in the conventional resistor emulator mode and contribute to the regulation of the TH D V and the PF at the distribution feeders. 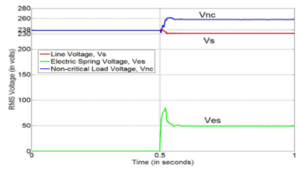 To prove the concept, the modification is applied to a current sensor less Non-Linear Controller (N LC) applied to a single-phase Boost rectifier. 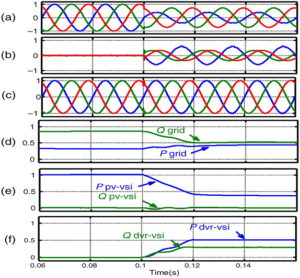 Experimental results show its performance in a PFC front-end stage operating in Continuous Conduction Mode (CC M) connected to the grid with different TH D V.
Fig. 1. Residential L V grid with household appliances feed through conventional AC/DC stages (without the proposed operation mode selector) and the proposed P Q E controller. Fig. 2. 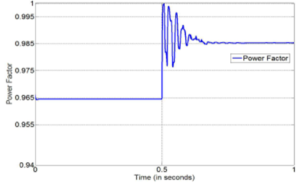 Experimental results of P Q E PFC at 50 Hz. 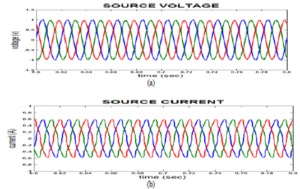 Voltage and current wave forms in a) resistor emulator mode (k = 0), b) sinusoidal current mode (k = 1) and c) measured spectra in both operation modes. Fig. 3. 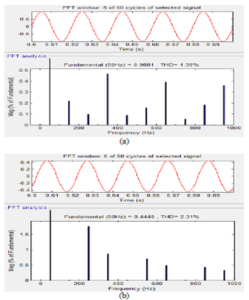 Experimental results of P Q E PFC at 60 Hz. 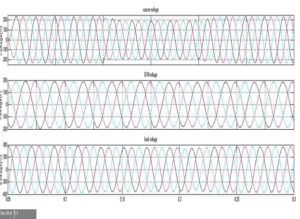 Voltage and current wave forms in a) resistor emulator mode (k = 0), b) sinusoidal current mode (k = 1) and c) measured spectra in both operation modes. Fig. 4. 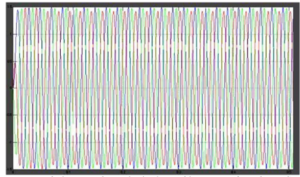 Experimental results of P Q E PFC at 400 Hz. 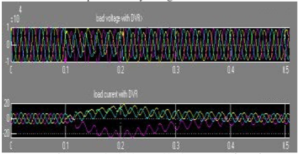 Voltage and current wave forms in a) resistor emulator mode (k = 0), b) sinusoidal current mode (k = 1) and c) measured spectra in both operation modes. The consequence on the electrical power quality of connecting household appliances to the grid through PFC stages has been assessed considering different TH D V scenarios. As has been shown in (17) and (23), there are conditions under which sinusoidal current consumption results in better PF at the PC C than with resistor emulator behavior, commonly assumed to be ideal for PFC stages. 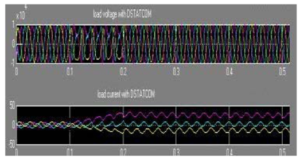 A modification of the carrier signal of N LC controllers applied to PFC stages is designed to impress sinusoidal input current despite the input voltage distortion. The line current estimation with no interaction with the power stage implements the N LC with high noise immunity. 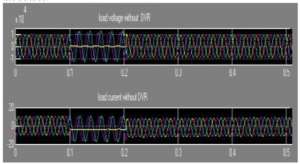 The digital implementation of the non-linear controller is appropriate to define the carrier and to include additional reduction of the current distortion depending on the application. 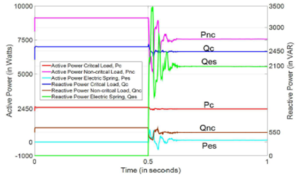 The P Q E controller can be applied to mitigate the effect of nonlinear loads within household appliances on residential electrical grids. The operation mode of the digital controller can be autonomously adjusted through the locally measured TH D V , without extra circuitry. 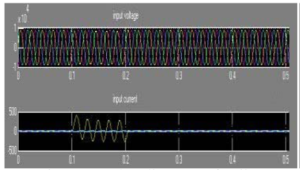 The user or a TH D V threshold detection selects the convenient behavior (either resistor emulator or pure sinusoidal current). 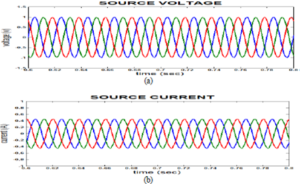 Experimental results obtained with high TH D V (above 5 %) confirm the feasibility of the P Q E controller in both sinusoidal current and resist i v e emulator modes. IEEE Std. 519-2014 (Revision of IEEE Std. 519-1992), IEEE Recommended Practice and Requirements for Harmonic Control in Electric Power Systems, D OI 10.1109/IEEE STD.2014.6826459, pp. 1–29, Jun. 2014. Y. J. Wang, R. M. O’Connell, and G. Brownfield, “Modeling and prediction of distribution system voltage distortion caused by nonlinear residential loads,” IEEE Trans. Power Del., vol. 16, D OI 10.1109/61.956765, no. 4, pp. 744–751, Oct. 2001. H. Ora e e, “A quantitative approach to estimate the life expectancy of motor insulation systems,” IEEE Trans. Die l e ct r. Elect r. In s u l., vol. 7, D OI 10.1109/94.891990, no. 6, pp. 790–796, Dec. 2000. D. Fab i an i and G. C. Mont an a r i, “The effect of voltage distortion on ageing acceleration of insulation systems under partial discharge activity,” IEEE Elect r. Ins u l. Mag., vol. 17, D OI 10.1109/57.925300, no. 3, pp. 24–33, May. 2001. T. J. Dion i s e and V. Lo r ch, “Harmonic filter analysis and redesign for a modern steel facility with two melt furnaces using dedicated capacitor banks,” in IEEE I AS Annual Meeting, vol. 1, D OI 10.1109/I AS.2006.256496, pp. 137–143, Oct. 2006. This paper examines the utilization of changeless magnet synchronous generators (PMSGs) for a breeze vitality transformation framework (WECS) and a diesel motor driven generator (DG hybrid system) set of an independent cross breed framework with a battery vitality stockpiling framework (BESS). For voltage control at the purpose of normal coupling (PCC) and adjusted supply at terminals of DG hybrid system set, a solitary stage D-Q hypothesis based control calculation is connected for the exchanging of voltage source converter (VSC) of BESS and the greatest power point following (MPPT) is accomplished for WECS with a gradual conductance procedure for the exchanging of a dc-dc help converter. Recreation aftereffects of created model of proposed independent mixture framework, which is produced in MATLAB show execution of both the controllers and power quality enhancement of the half breed framework. Fig. 2 (a) Characteristics of the system with constant wind speed under varying loads. Fig. 5(a) Characteristics of the system with constant wind speed under varying loads. 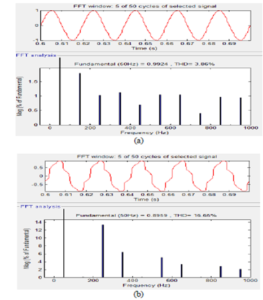 Fig.7(c) dynamic Performance of controller of hybrid system under varying nonlinear loads at 10 m/s wind speed. Fig. 8 waveforms and harmonic spectra (a) Phase ‘a’ supply voltage of at PCC (b) Phase ‘a’ supply current under nonlinear unbalanced loads. A 3-φ independent breeze diesel half breed framework utilizing PMSG alongside BESS has been recreated in MATLAB utilizing Simpower framework tool compartments. Different parts have been intended for the cross breed framework and controller’s acceptable execution has been delineated utilizing 1-φ-D-Q hypothesis with SOGI channels for different loads under unique conditions while keeping up consistent voltage at PCC and adjusted source flows of diesel generator and furthermore for music concealment according to rules of IEEE-519-1992 standard. A mechanical sensor less methodology has been utilized for accomplishing MPPT through gradual conductance procedure. 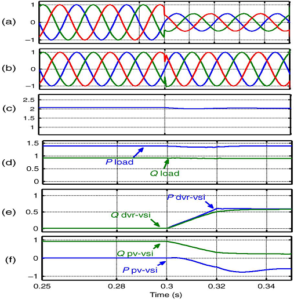 A topology of series active power filter (SAP F) based on a single phase half-bridge cascaded multilevel invert er is proposed in order to compensate voltage harmonics of the load connected to the point of common coupling (P CC). 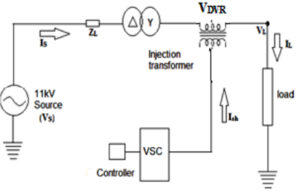 This paper presents the main parts of the invert er and The proposed invert er with the simple control easily obtains any voltage reference. Therefore, the invert er acts as a harmonic source when the reference is a non-sinusoidal signal. A prototype of 15-level invert er based SAP F is manufactured without using a parallel passive filter (PP F) because it is intended to represent the compensation capability of the SAP F by itself. 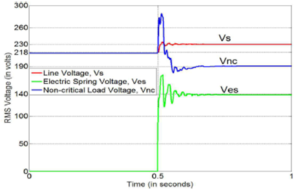 The load connected to P CC whose voltage is non-sinusoidal is filtered both in simulation and experimental studies. The validity of the proposed invert er based SAP F is verified by simulation as well as experimental study. Both simulation and experimental results show that the proposed multilevel invert er is suitable for SAP F applications. Figure 1. The basic configuration of the proposed system. Figure 2. Simulation results – Set I a) V p cc and V h P CC before compensation (50 V I div), b) invert er and load voltage after compensation (50 V I div). Figure 3. Simulation results – Set 2 a) V p cc and V”p cc before compensation (50 V l div), b) invert er and load voltage after compensation (50 V I div). This paper proposes a single phase half-bridge cascaded multi level invert er based SAP F. The multi level invert er topology and operation principle is introduced and With the proposed topology, the number of output levels can easily be increased. 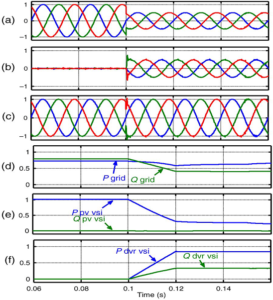 Switching angles of the semiconductor devices used in the invert er are also obtained by a simple method, moreover A SAP F with the proposed invert er topology is simulated under different harmonic distortion levels of P CC. The TH D values obtained from simulation study is similar to experimental results and the results of simulation and experimental studies demonstrate the accuracy of the simulation study. The TH D values after compensation is reduced to 2.88% and 3.07% by using the proposed invert er based SAP F and After compensation, the waveform of load voltage is almost sinusoidal. 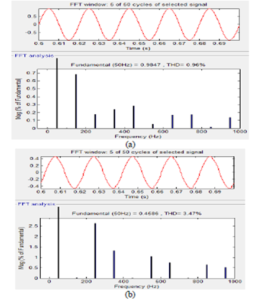 A highly distorted sinusoidal waveform with a TH D value of 24.12% is compensated with the proposed invert er based SAP F and the TH D value is reduced to 3.07%, with This it is shown that the proposed invert er is suitable for SAP F applications. Both simulation and experimental studies show the validity of the proposed invert er as a SAP F.
 M. 1. M. Mon t e r o, E. R. Ca d a val, F. B. Gonzalez, “Comparison of control strategies for shunt active power filters in three-phase four wire systems”, IEEE Trans. Power Electron., , 22, (I), pp. 229- 236, 2007. 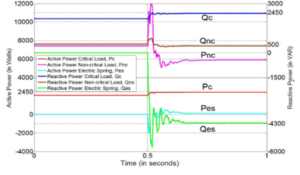 F. Z. P e n g, H. A k a g i, and A. Na b a e, ” A new approach to harmonic compensation in power systems-A combined system of shunt passive and series active filters,” IEEE Trans. Ind. A pp l. , Vol. 26, No. 6, pp. 983- 990, N o v.l Dec. 1990. Z. Wang, Q. Wang, W. Y a o, and 1. 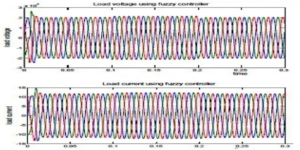 Li u, “A series active power filter adopting hybrid control approach,” IEEE Trans. Power Electron. , Vol. 16, No. 3, pp. 301- 310, May 2001. H. Aka g i, ‘Trends in active power line conditioners,” IEEE Trans. Power Electron. , Vol. 9, No. 3, pp. 263- 268, May 1994. M. E I-H ab r o u k, M. K. D a r wish, and P. Me h ta, “Active power filters : A review,” l E E Elect r. Power App l., Vol. 147, No. 5, pp. 403-413, Sep.2000. 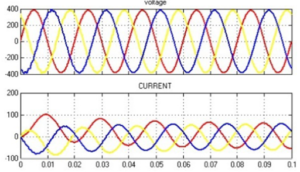 Harmonic voltage compensation of the load connected to the point of common coupling (PCC) by using a series of active power filter (SAPF) based on a single phase cascaded multilevel inverter is proposed. The proposed multilevel inverter are presented in detail. 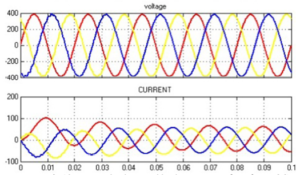 The inverter has the ability of acting as a harmonic source when the reference is a non-sinusoidal signal. 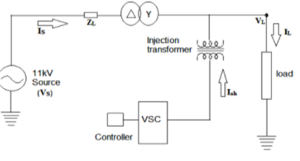 To achieve this, a simple control technique is performed with the proposed inverter. A prototype of 7-level inverter based SAPF is manufactured without using a parallel passive filter (PPF) because it is designed to show SAPF own compensation capacity alone. Filtering ability of the SAPF is shown both in simulation and experimental studies. 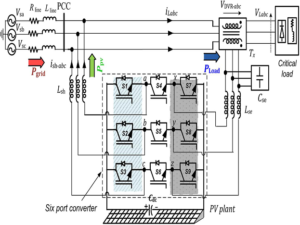 The validity of the proposed inverter based SAPF is verified by simulation as well as experimental study. 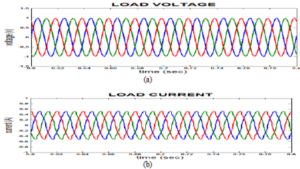 The results show that the proposed multi-level inverter is suitable for SAPF applications. Fig. 1. The scheme of the proposed system. Fig. 3. 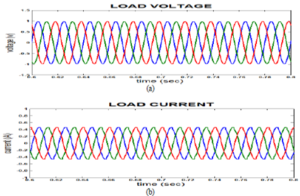 The waveforms of the load voltage and the proposed inverter voltage after compensation. 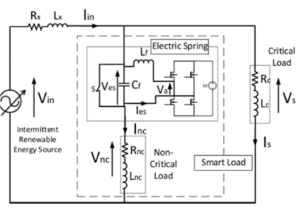 This paper proposes a single phase cascaded inverter based SAPF. The 7-level inverter topology and operation principle is introduced. With the proposed topology, the number of output levels can easily be increased. 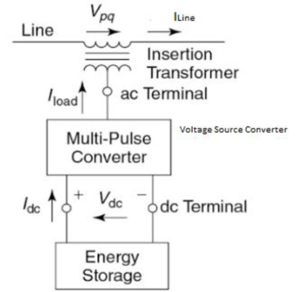 Switching signals of the semiconductor devices used in the inverter are also obtained by a simple method. 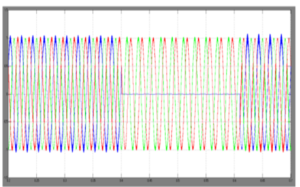 A SAPF with the proposed inverter topology is simulated.The aim of the simulation is to compensate the load voltage harmonics connected to PCC. In addition to the simulation, the proposed SAPF prototype is designed. Using this prototype, experimental study is performed. Simulation and experimental results similar each other proves the accuracy of the analysis. The load waveform that is highly distorted with a THD value of 24.12% is compensated with the proposed inverter based SAPF and the THD value is reduced to 3.80% in experimental study. This shows that the proposed inverter is suitable for SAPF applications. M. I. M. Montero, E. R. Cadaval, F. B. Gonzalez, “Comparison of control strategies for shunt active power filters in three-phase four-wire systems”, IEEE Trans. Power Electron., vol. 22, no. 1, pp. 229–236, 2007. 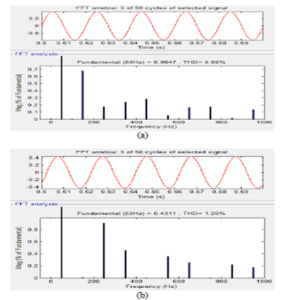 F. Z. Peng, H. Akagi, and A. Nabae, “A new approach to harmonic compensation in power systems—A combined system of shunt passive and series active filters,” IEEE Trans. Ind. Appl., vol. 26, no. 6, pp. 983– 990, Nov./Dec. 1990. Z. Wang, Q. Wang, W. Yao, and J. Liu, “A series active power filter adopting hybrid control approach,” IEEE Trans. Power Electron., vol. 16, no. 3, pp. 301–310, May 2001. H. Akagi, “Trends in active power line conditioners,” IEEE Trans. Power Electron., vol. 9, no. 3, pp. 263–268, May 1994. 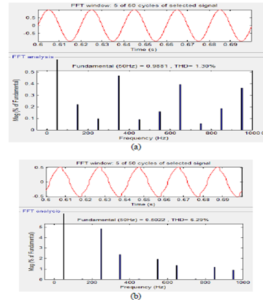 M. El-Habrouk, M. K. Darwish, and P. Mehta, “Active power filters: A review,” IEE Electr. Power Appl., vol. 147, no. 5, pp. 403–413, Sep. 2000. An interline dynamic voltage restorer (IDVR) is a new device for sag mitigation which is made of several dynamic voltage restorers (DVRs) with a common DC link, where each DVR is connected in series with a distribution feeder. During sag period, active power can be transferred from a feeder to another one and voltage sags with long durations can be mitigated. IDVR compensation capacity, however, depends greatly on the load power factor and a higher load power factor causes lower performance of IDVR. 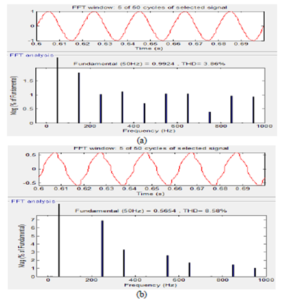 To overcome this limitation, a new idea is presented in this paper which allows to reduce the load power factor under sag condition, and therefore, the compensation capacity is increased. The proposed IDVR employs two cascaded H-bridge multilevel converters to inject AC voltage with lower THD and eliminates necessity to low-frequency isolation transformers in one side. The validity of the proposed configuration is verified by simulations in the PSCAD/EMTDC environment. Then, experimental results on a scaled-down IDVR are presented to confirm the theoretical and simulation results. Fig. 1. Power circuit schematic of the IDVR with active power exchanging capability. Fig. 2. Investigating the IDVR performance when the proposed method is applied for a sag with depth of 0.4p.u. Fig.3. Investigating the IDVR performance when the proposed method is applied for a sag with depth of 0.6p.u. In this paper, a new configuration has been proposed which not only improves the compensation capacity of the IDVR at high power factors, but also increases the performance of the compensator to mitigate deep sags at fairly moderate power factors. These advantages were achieved by decreasing the load power factor during sag condition. In this technique, the source voltages are sensed continuously and when the voltage sag is detected, the shunt reactances are switched into the circuit and decrease the load power factors to improve IDVR performance. Finally, the simulation and practical results on the CHB based IDVR confirmed the effectiveness of the proposed configuration and control scheme. A. Felce, S. A. C. A. Inelectra, G. Matas, and Y. Da Silva, “Voltage Sag Analysis and Solution for an Industrial Plant with Embedded Induction Motors,” In Industry Applications Conference, 2004. 39th IAS Annual Meeting. Conference Record of the 2004 IEEE, vol. 4, pp. 2573-2578. IEEE, 2004. H. K. Al-Hadidi , A. M. Gole and D. A. Jacobson “A novel configuration for a cascade inverter-based dynamic voltage restorer with reduced energy storage requirements“, IEEE Trans. Power Del., vol. 23, no. 2, pp.881 -888 2008 .